Invoicing software is a tool that automatically generates billing for rendered services and products. This tool creates a list of services and products along with their corresponding costs and sends them to your customers as an invoice. These invoices are commonly created using ready-made templates, mostly professional-looking ones, which makes the process easier and advantageous to businesses. For every product sold or service rendered, an invoice is made, the first step for you to get paid. Where before payments are mostly cash-based and books are kept manually, leading to erroneous billing and delayed payables, today, we enjoy the vast benefits of financial technologies like electronic transfers, card payments, and online payments which speed up transactions. Invoicing software makes things even faster… especially that process that rings cash to your ears: collection. If you want to take advantage of efficiency and productivity these apps provide, you need to know more about this type of software. This article discusses the core technology involved in invoicing software, covering the core features, key benefits, the leading solutions, along with pricing structures and how the app works. You’ll also learn how online or cloud-based invoicing platforms can offer more powerful and convenient functionalities over on-premise, giving you a much wider choice. What are the Benefits of Invoicing Software? What are the Features of Invoicing Software? How Much Does Invoicing Software Cost? What are Examples of Invoicing Software? What are the Common Invoicing Software Issues? What are the Latest Trends in Invoicing Software? 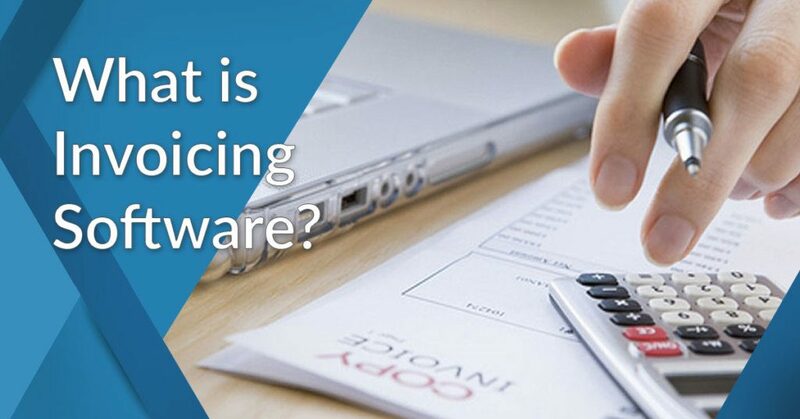 What are the Factors to Consider When Choosing Invoicing Software? Every year, more and more companies are shifting to electronic invoicing for many reasons due to their advantages over manual, paper-based billing. Specifically, processing time and the associated costs to it are streamlined compared to conventional paper invoices. The cost and time savings offered by invoicing software do not only come from postage and printing costs as well as reduced deadlines, but also from implementing unified processes for all tasks pertinent to invoicing. A recent survey identified the various efficiency gains and cost savings to digital invoicing, which also include enhancements from working capital management and productivity to better relationships with clients and suppliers. Advantages of electronic invoicing (EY – Worldwide Electronic Invoicing Survey). As always, our guide articles are here to provide you with all the relevant and useful information you’ll need so that when the time comes to acquire the software for your business, you’ll be in the position to make an intelligent decision. If you need to know more about the leading invoicing tools, you can also check out our list of the top 20 invoicing tools in the market today. Create and customize invoices. Today’s online invoicing platforms are relatively easy to use than desktop software and are increasingly becoming the preferred choice for many. Not being tied down to an on-premise system allows you to easily access information from anywhere to create invoices and personalize them to carry your brand. Unlike the traditional way where you already have a printed invoice, using this tool allows you to build an invoice from scratch and then populate the line items with customer name, quantity, amount, discounts, sales tax, and others. You may also choose to use templates built into the software and simply fill in the fields. Most applications offer customizing options where you can modify invoice elements or include your logo and other corporate symbols. You can create new clients or import client’s name from a database and simply click send. You have options to transform estimates approved by clients into invoices and send them also, or you can notify them to get the invoice from an online portal. Sending recurring invoices to long-term clients can likewise be automated. Facilitate billing and payment. Online platforms do not require additional set up and can provide you with the capability to conveniently process payment. With invoicing software you can create an online portal for customers to directly make payments and for you to immediately process them. It also allows you to accept foreign currency payments as billing and invoicing software has features to handle multiple currencies. With invoicing platforms, managing and processing payments had become easy tasks as you have the option to either integrate with PayPal or another online payment platforms, or process credit card payments. Invoicing software usually has features to handle multiple languages, multiple currencies, and tax adjustments. There is also the functionality to track offline payments. Generate reports. You can produce a variety of reports with invoicing software which can assist you to track your finances and monitor which invoices are currently outstanding. You can automate reports generation, export them as PDF files, and share or receive them by email. You can have reports generated and data analyzed to get relevant insights from your billing and invoicing operations such as the number of outstanding invoices, average time for a payment cycle, how many clients pay on time, and how many of them pay late. You can quickly get important information through the software that also manages all your records, transactions and database. So how does invoicing software work exactly? At its simplest form, invoicing software is designed for automation and accuracy. If your business sends out invoices regularly, it would help a lot to have a system that can take care of repetitive tasks while making sure that everything is organized and accurate. And ultimately, it is designed to hasten the payment process. Help streamline your accounting and financial processes by automating important tasks. You can cut costs by reducing staff in the invoicing and billing department and save time that is spent on following up and going after the late payers. Likewise, you get to increase cash flow with faster payment of invoices and enhance customer relations with shorter times in fixing and resolving errors. Minimize fraud and improve security. A good invoicing software solution has levels of bank-grade security features to ensure that the entire billing-to-payment process is protected from hacks or prying eyes. This is comparatively more secure than preparing your invoices manually and sending them as email attachments. New invoice creation. Allows the creation of clean and professional invoices that can be customized to match your brand. The system should allow for extracting and integrating information from projects, timesheets, and customer records. Customer records creation. A feature that enables you to summarize customers’ personal and purchase information and attach relevant files in a single, centralized database equipped with search filters for easy access to customer records. Credit card processing. The invoicing suite should enable you to save time and facilitate billing by processing credit cards promptly and allow recurring billing and secure customer management. Some systems even enable auto-billing of credit cards so clients won’t miss a due payment. Predefined templates. How your bills and invoices look is equally important as their accuracy, which is why a system should provide for professional and predefined communication templates. This will not only save you time but also let you personalize your accounting and allow you to carry your brand. Multiple currency setting. This feature enables you to connect your billing and invoicing system seamlessly with the rest of your software architecture, similar to your basic financial operations. Multiple currency setting can be useful for issuing receipts, accepting payment and managing taxes, and it is of vital importance for businesses with global operations. Receive/send information. The function allows you to send quotes to your customers quickly since there is a centralized database where all their information is stored and readily made available. Invoice, payment, and tax report. A good online invoicing system should eliminate the need for you to use external systems for tax reporting and allow you to perform it within the same system, without losing hours to summarize information. All the aforementioned features, benefits and advantages should be enough reasons for you to adopt invoicing software solutions. But just to drive home the point of what is invoicing software, we go over what it can do for your business with these additional reasons that favor its use. Create invoices faster and more accurately. This is a far cry from what you’re used to creating an invoice from a word processor. A proper invoice document must have an invoice number with a different number on each invoice you send; details of product or service provided; date invoice was sent and date when the product was delivered or service rendered; name and contact information of seller or service provider; name and contact info of buyer; costs breakdown; total amount due; payment details; and payment due date. Imagine inputting all that information manually compared to a system that does everything for you except for the variable elements. Generate invoices anywhere. In relation to the above, companies can create invoices from any location with internet connectivity since online platforms are powered by cloud technology and are web-based. Likewise, with some providers offering mobile apps, you get to create invoices even on the go, something you cannot do with on-premise software. Integrate invoicing with your key business systems. Online invoicing platforms can integrate with your full accounting system for all your financial requirements and can be linked to your payroll, inventory, banking and reporting modules using one basic source. Some invoicing solutions can even connect directly to e-commerce platforms and shopping carts as well as to external client databases and time sheets. Invoicing software can be acquired either as a standalone application or as part of a full-packaged accounting and finance software. There is a misconception here as regards to the former. Invoicing software cannot really stand alone on its own because, to be able to exactly perform its functions, it must one way or the other use some accounting processes. Hence, most invoicing tools are bundled along with other features in a complete accounting software solution. Prices can vary widely – from free apps for small businesses with a couple of dozen customers or fewer, to apps with double-figure pricing per month depending on the number of users and business customers. Most are offered through flexible pricing plans with Basic and Starter to Pro and Enterprise offerings. Whatever your needs are, there should be a pricing plan to match your business. It is best that you go over the price offerings of vendors and compare and study them carefully. Cost is always a major factor in any software acquisition and a free one may not really have the features you need while a more expensive all-in-one accounting package may fall short of your expectations. FreshBooks – An award-winning finance and accounting software and one of the best cloud solutions for small business owners. It has the highest customer satisfaction rates of all similar apps in this category. Included in its full array of accounting and finance tools are invoice management and online payment collection within the same system. It works with Google Checkout, PayPal, and credit card payments, and integrates with a long list of business systems and applications that can streamline billing, invoicing and payment processes, allowing for financial control in a single system. Sage 50cloud is a full-suite invoicing and accounting platform that integrates the capacity and power of a widely-used desktop system with a secured cloud component. Trusted by more than 400,000 companies, this robust system can help your business achieve higher efficiency using a comprehensive, agile system for managing your invoicing, inventory, cash flow, taxes, and other financial transactions. Backed-up by award-winning customer support and numerous features, this platform integrates seamlessly with Microsoft 365 to further boost staff productivity. Zoho Books is another popular, easy-to-use cloud accounting app designed to help businesses to better control their cash flow and manage their accounting tasks more efficiently. With an intuitive, simple design and numerous features, this platform allows you to easily create and send professional invoices to help you get paid more quickly. Zoho Books also generates key financial reports to help you be on top of your finances, even when you’re on-the-go. It also supports automated banking and real-time inventory tracking and integrates with many third-party apps such as PayPal and Authorize.net, including all other Zoho applications. Xero – One of the market’s favorite financial collaboration apps listed high on our list of leaders in the accounting category. This system is designed to meet the requirements of small businesses regardless of their industry, and is often qualified by accountants as the ‘handiest asset for managing financial activities’. It is a friendly and usable platform that can create and send invoices automatically and even categorize invoices as drafted, awaiting approval, awaiting payment, or delayed. FreeAgent is a robust cloud invoicing and accounting solution specifically designed for freelancers and small businesses. It practically has most of the functionalities that small companies require to efficiently manage their finances, from expense management to payroll. You only need this platform to create, monitor and send your invoices, as well as track all your expenses. It also offers the convenience of recognizing images of receipts, so you only need to take a picture of a receipt with your mobile phone, upload it to the platform, and it will automatically be integrated into your financial system. You can also integrate your bank accounts with FreeAgent to keep your finances updated in real time. Sage Intacct is a smart, online financial management tool for businesses of all sizes. The first and only financial management platform endorsed by AICPA, it efficiently automates your financial tasks so that you can focus on more pressing concerns of your business. This cloud-based tool features an extensive array of core financial solutions and additional modules to allow your business to achieve higher efficiency and productivity. These include order management, accounts payable/receivable, purchasing, and general ledger, as well as time and expense management, contract and subscription billing, and multi-entity and global consolidation.  Quickbooks – One of the most popular accounting software solutions worldwide, it offers a vast array of insights and organizational capabilities that can help companies keep accounting data organized, including their overdue items, payable bills, accounting notes, contacts’ data, and standard accounting operations. Payment is completely transformed for users with a Pay Now link to connect their invoice to credit cards or bank transfer accounts. Sage Business Cloud Accounting is an easy-to-use yet powerful online accounting solution for businesses. The former Sage One app, this rebranded tool is enhanced to allow seamless financial transactions using any device, at any time, from anywhere. It offers the basic financial functionalities that small businesses need such as invoicing, payroll, tracking, and other accounting processes. This platform also helps your team collaborate more seamlessly with your accountant. It is also regularly updated to ensure that your financial reports remain legally compliant. Tipalti – A highly regarded payment automation and management software. It is a cloud-based platform with powerful and secure payment features that automate the entire mass global payment processing operation, from onboarding to tax compliance. The app can tackle problems such as late payments, administrative overload, noncompliance, and can streamline the way you make payments to customers, partners, vendors, and affiliates across an impressive base of 190 countries. No single global standard. Invoicing software operates on a diverse and complex e-invoicing environment which at the moment doesn’t have generally accepted standards. While there is a variety of standards used in different geographies, the global landscape is further messed up by different local variations in taxation as well as e-invoicing compliance requirements. Some vendors and solution providers though that operate globally are able to navigate invoicing complexities. But that’s more of an exception than the rule. Fail-safe system. No online system is built to be an impenetrable fortress despite having all the necessary security protocols and safety mechanisms. If anything is online, it can be breached by the most determined hacker. You may have to talk it over with the online vendor to ensure the integrity of your online database and information or get the services of third-party security providers to double check and go through existing safety measures. Government-led adoption. With the realization of more savings and efficient processes, countries in regional areas such as Scandinavia and South America, and specific nations like Brazil and Mexico are spearheading e-invoicing adoption. Catching up are North American and European nations and countries like Canada, Australia, New Zealand, South Africa and the rest of South America. The governments in these countries are pushing for compliance with e-invoicing requirements. The US Office of Management and Budget has declared that all government agencies should move to e-invoicing by end of 2018, while the European Union has mandated that Public Administrators have to accept e-invoices by November 2018. The driver of the real-time economy. Since invoicing software allows for faster and more accurate data between purchaser and supplier, businesses and governments are being driven towards a “real-time economy.” This will allow the purchaser to quickly validate data, and the supplier to immediately respond using invoices that can be modified and sent again in a span of 24 hours. This system will drastically reduce late payments and penalties. AI and expanded automation of the invoicing process. As invoicing platforms continue to advance, more and more invoicing tasks will become automated. These automated functionalities will practically remove the need to manually monitor financial transactions with every customer and further decrease the possibility of errors, including incidences of late payments. Likewise, AI will enable invoicing to evolve further and elevate this financial process to become a dynamic, strategic element of any business. AI will push this change by automating the reconciliation process, enhancing cash flow, and identifying invoice fraud, etc. Just like when searching for any type of software, you need to take into consideration a number of helpful measures to ensure you’re making the correct choice. The following tips are not exhaustive but will definitely help a lot in providing you the key insights to make the right pick. It should fit into your business context. Before you start shopping for your invoicing software, you must first recognize all the existing process involved in as far as billing is concerned. You need to know how the new platform that you’ll choose will help you and your team become more efficient. Instead of playing it safe by opting for a multi-functional invoicing solution, go for that platform that can deliver your specific needs. Why waste your money paying for features that you do not and will likely not use? Its invoices should look professional and easy to understand. The bills you give to your clients do have some critical information, but they should not look dreadful and dull. Because invoices present an image of your business, they must be polished, expertly designed, and clear. If you just cut-and-paste your invoice directly from your spreadsheet app, rest assured your clients won’t consider your business in high regard, much more be able to understand the billing details. It must be safe to use. Aside from the need to look professional, your invoicing platform must also be secured. Only select from vendors with a solid reputation in system security. Never compromise the security of your business and customer data. The invoicing software you’ll choose should have robust safeguards in place. It must also offer solid customer support. All software technologies are susceptible to bugs and issues, both coming from the software itself and from using it. While there are indeed powerful, mature platforms in the market, only partner with invoicing software vendors with reliable and easily accessible customer service. Aside from providing you with useful insights into your financial operations, your vendor should also offer support in the forms of knowledge centers, manuals, tutorials, and other resources. If you’re looking for a full-suite accounting platform for your business, you can read How Much Does Accounting Software Cost? And in case you’d like to start exploring right away for that invoicing software for your business, why not start with Freshbooks, one of the best in the market today? You can sign up for a Freshbooks free trial here.